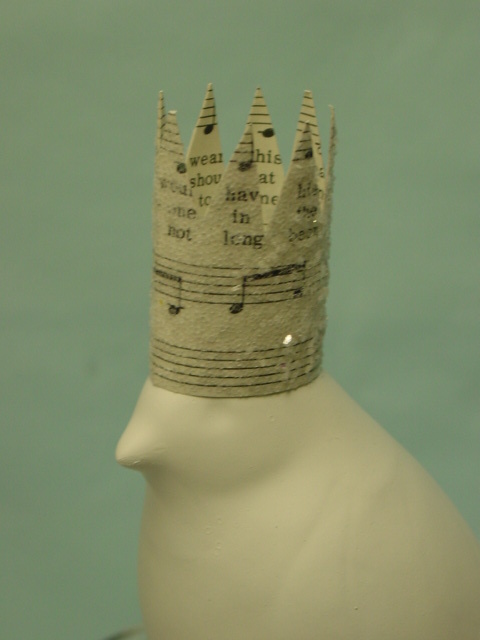 You KNOW I have ‘a thing’ for crowns, right? 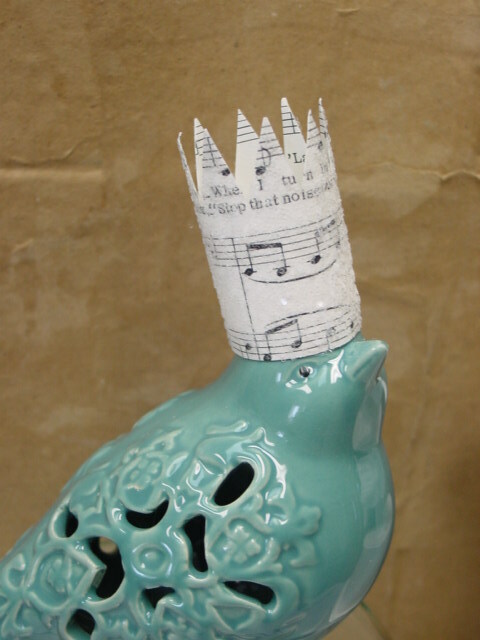 Well, if YOU feel the need to crown any of your favorite items, you can now buy my little hand crafted crowns in my etsy shop! 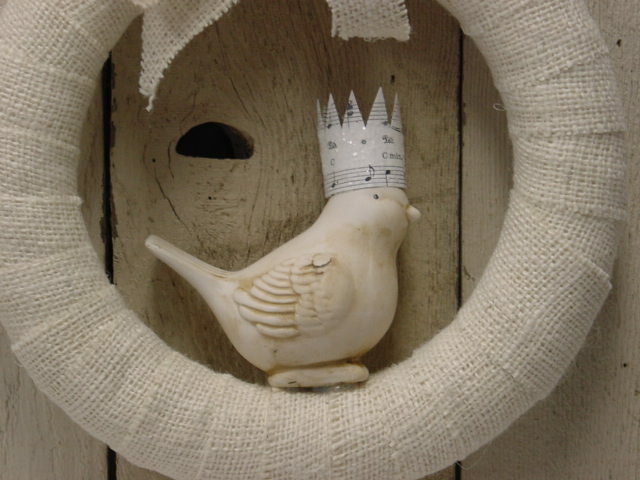 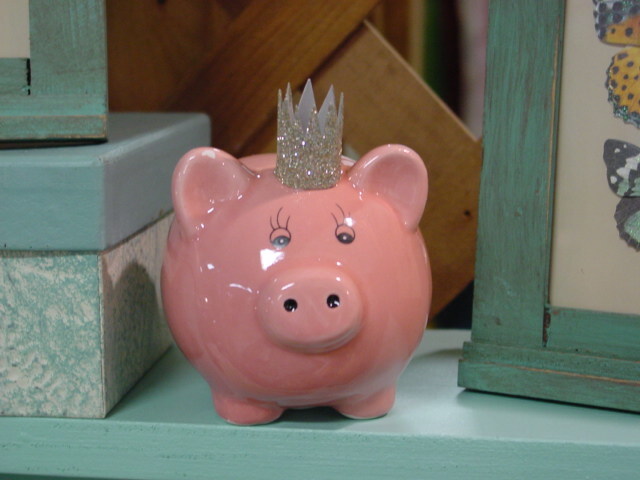 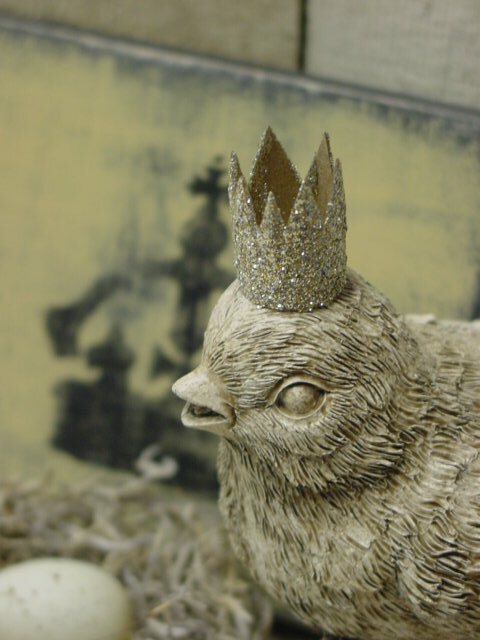 What ELSE besides little birds, could you put a crown on? 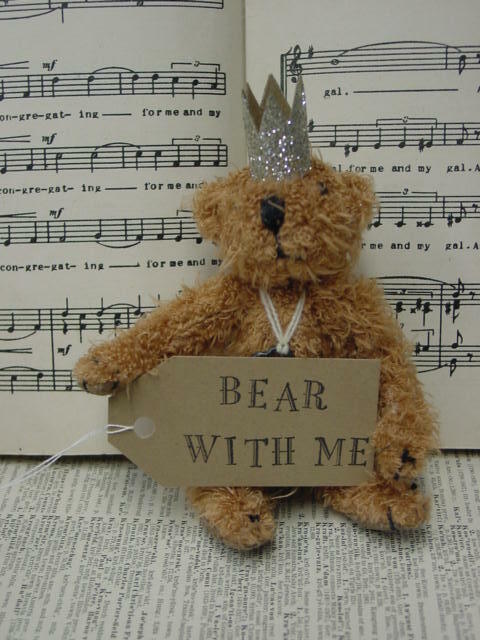 I’m so glad you asked! 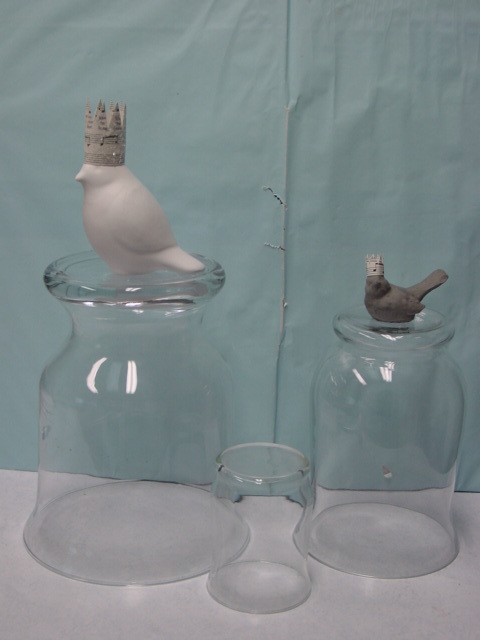 You can put them on birds that sit atop glass cloches. 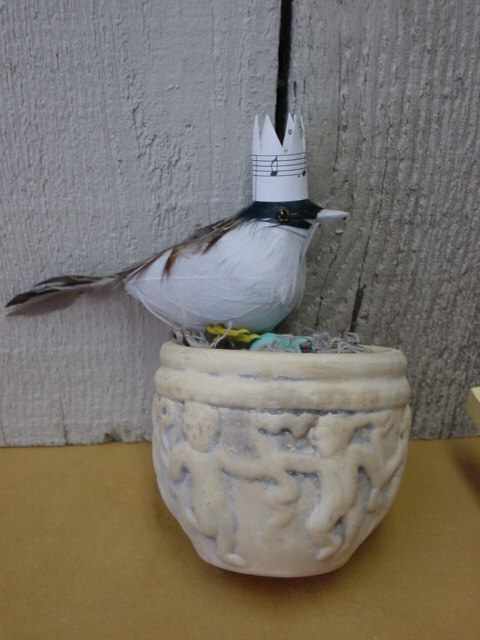 And on birds that sit on tall pedestals. 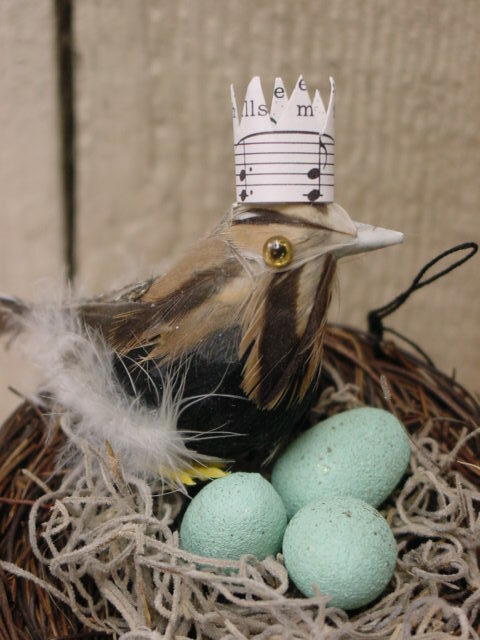 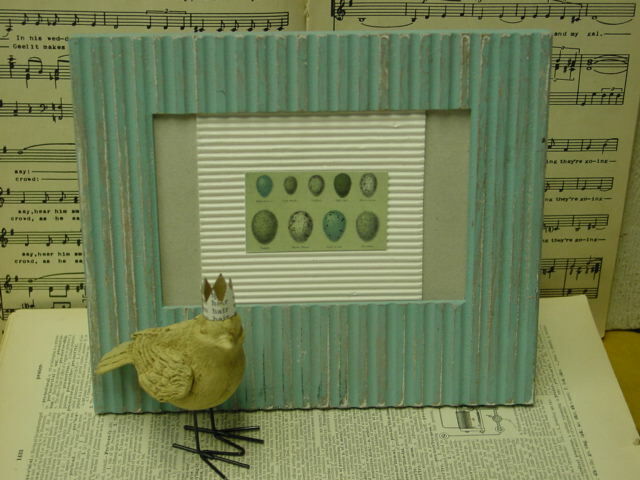 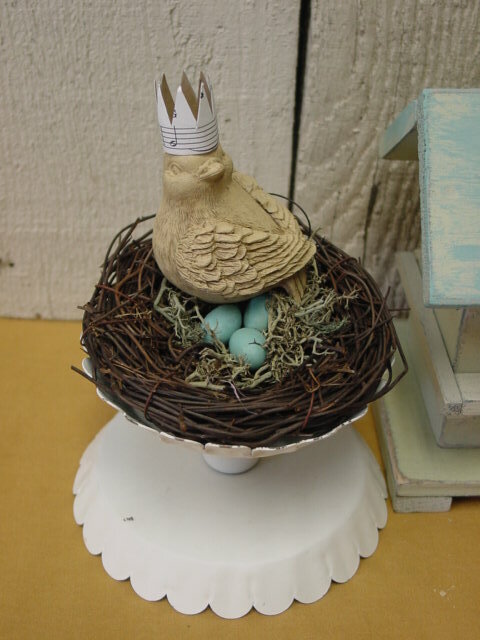 On little birds that stand nest to framed pictures of eggs. 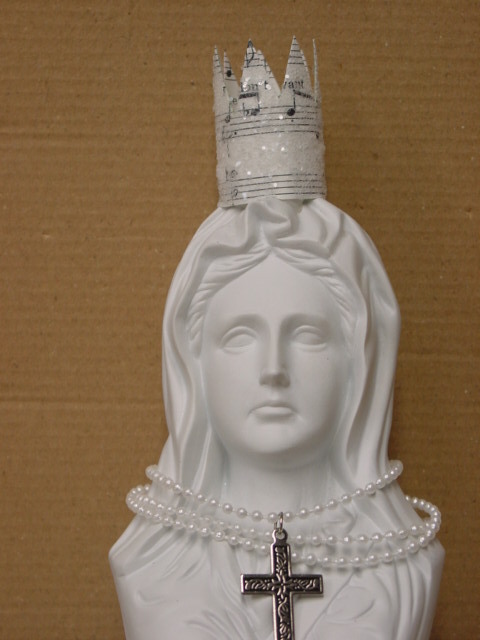 On a vintage Madonna bust with other embellishments. 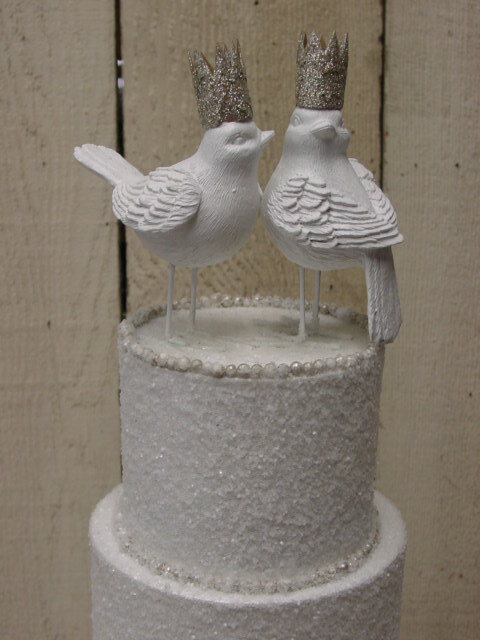 On some other birds on pedestals. 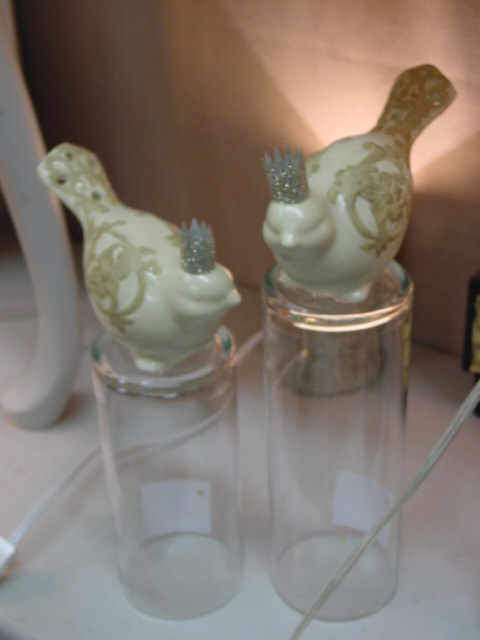 More feather birds. 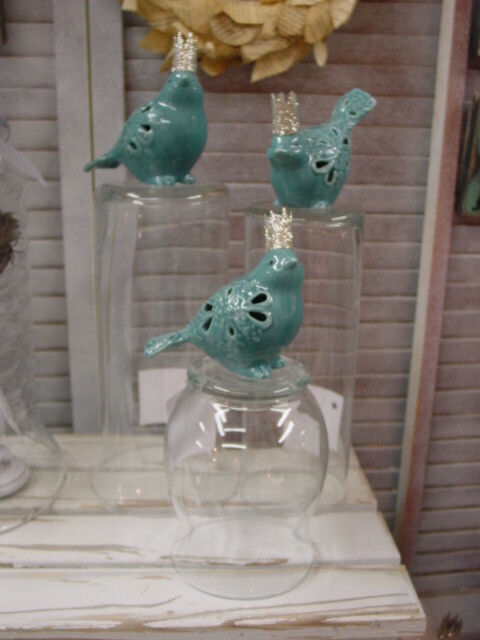 Or bird Christmas ornaments! 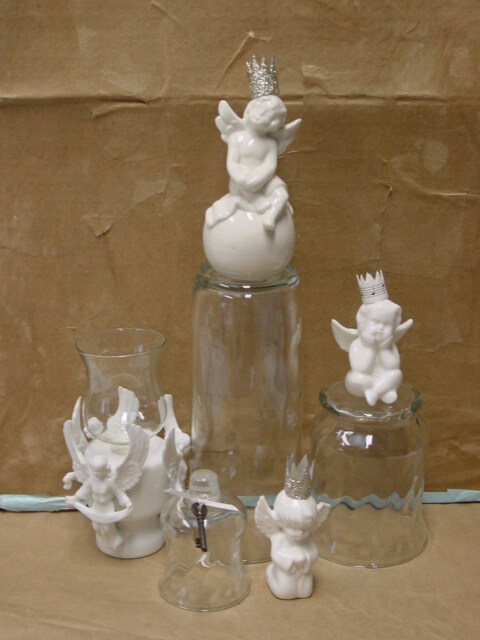 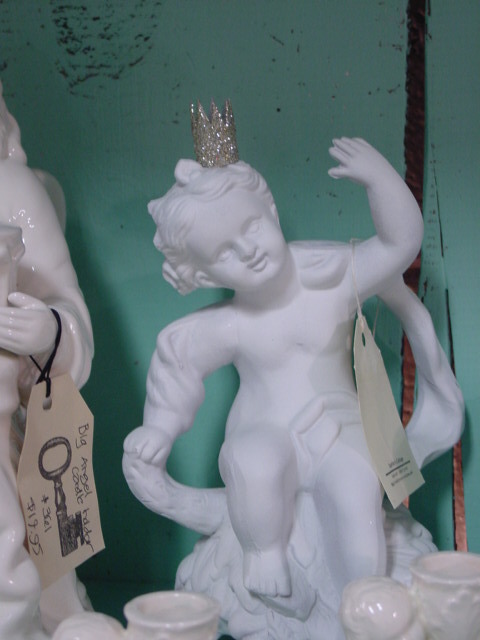 On cute little cherub figurines. 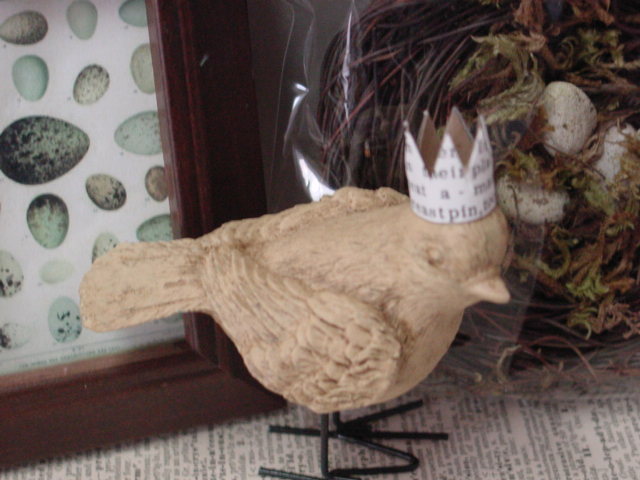 On resin birds . 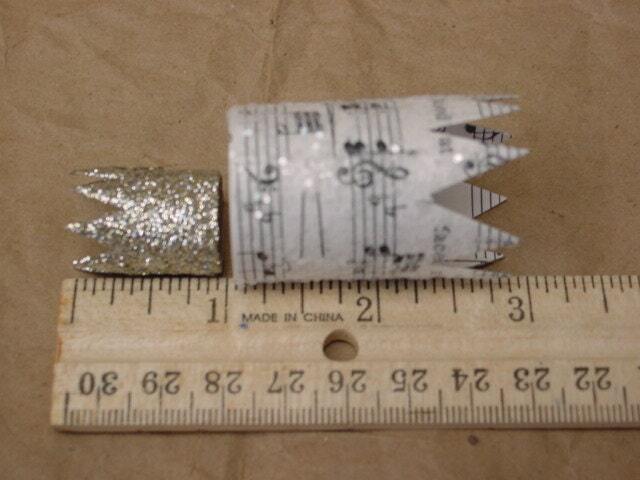 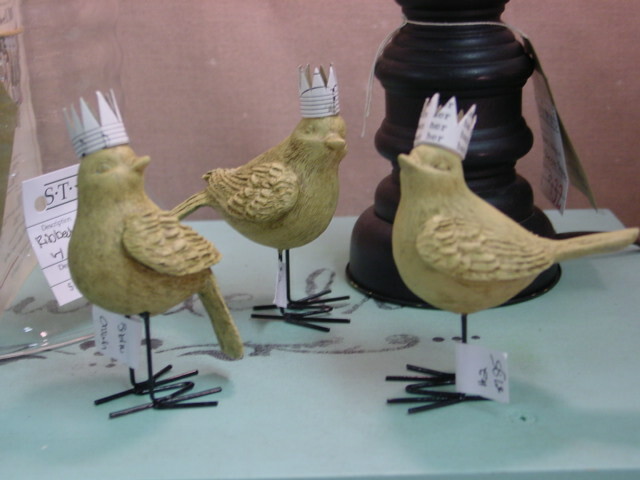 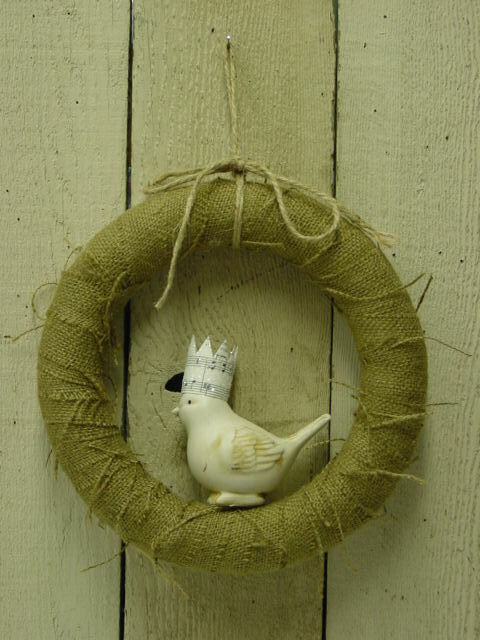 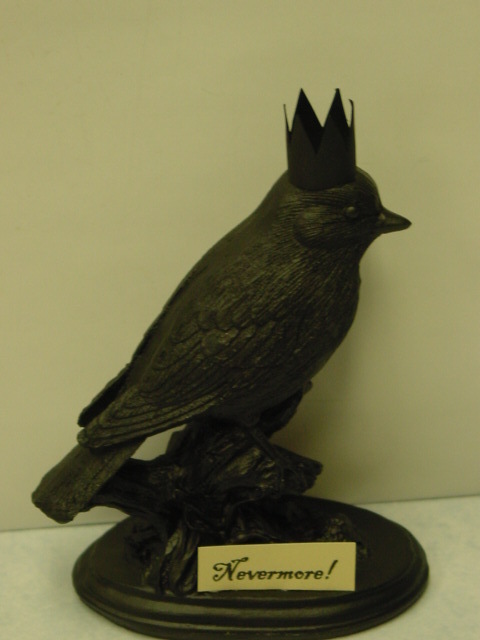 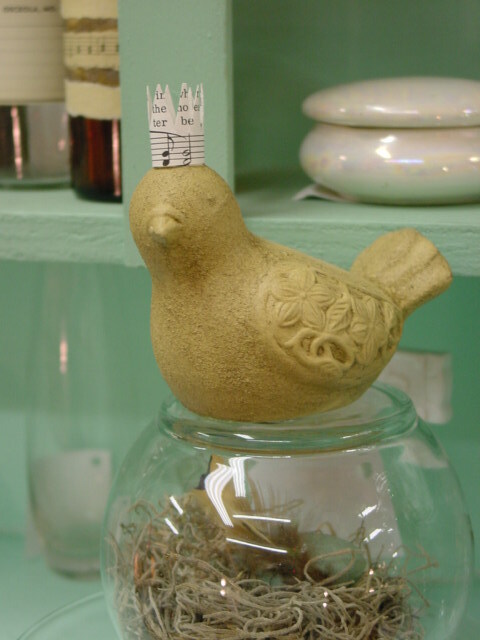 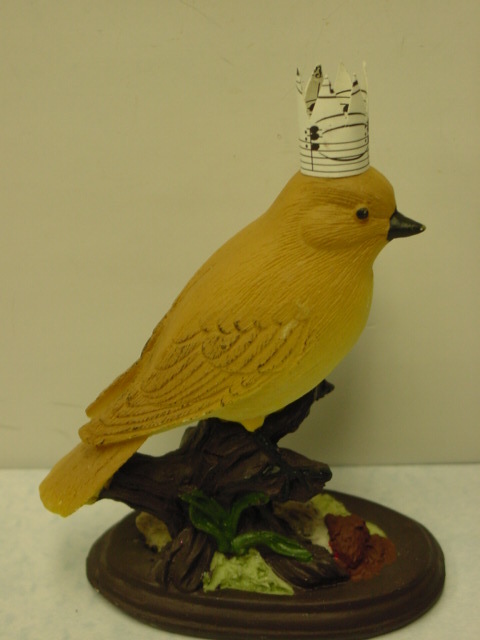 . .
Then paint that resin bird and crown black and add a “Nevermore!” tag for Halloween decor. 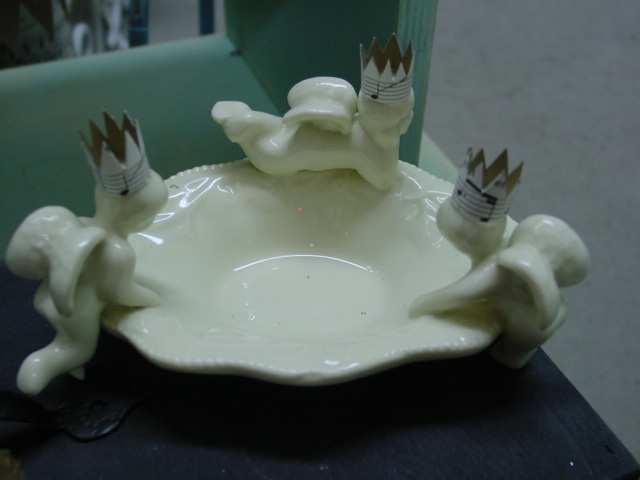 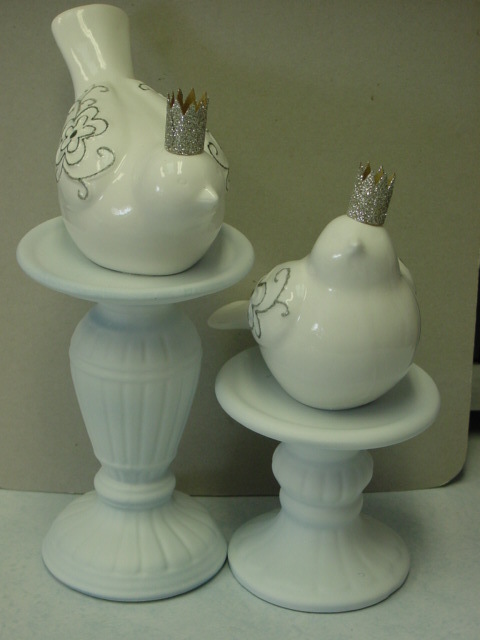 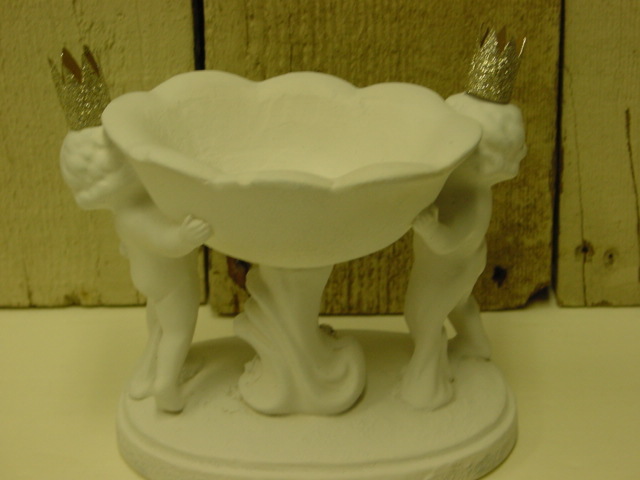 Add them to the cherubs on a vintage dish. 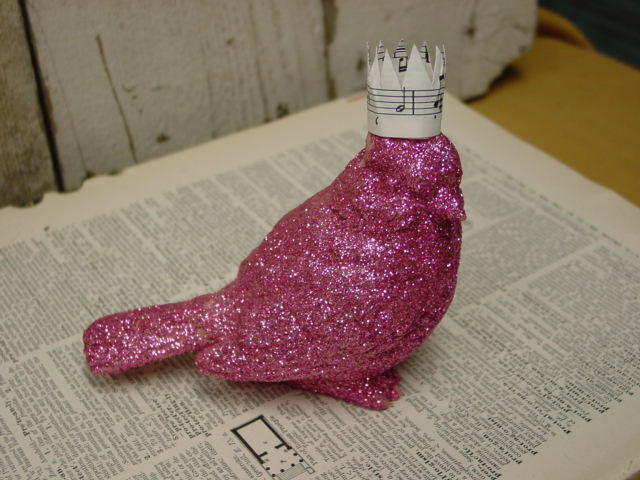 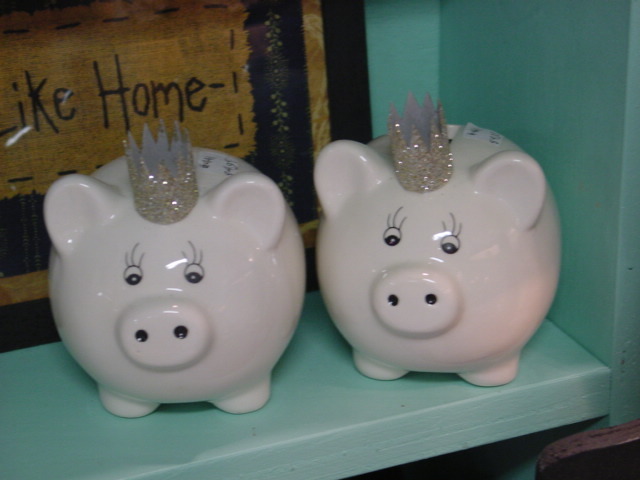 How about some HOT PINK glitter birds with crowns? 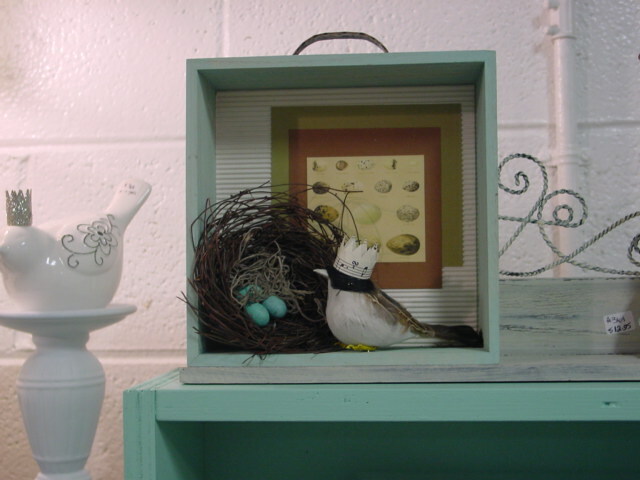 Feather bird in a shadow box. 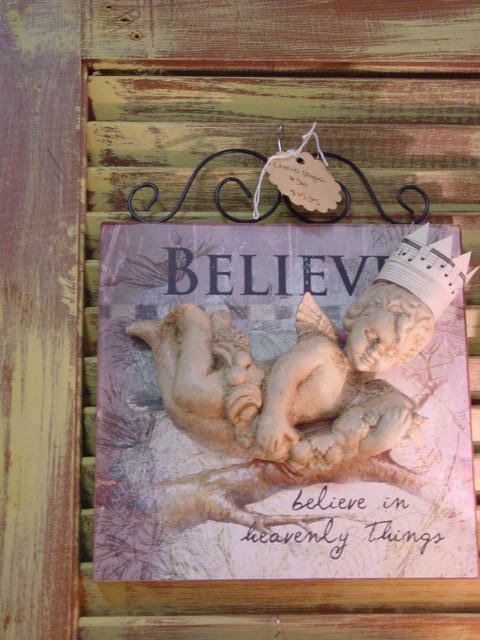 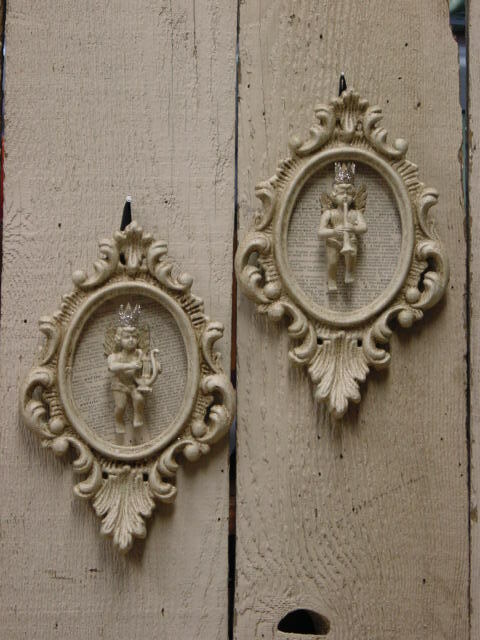 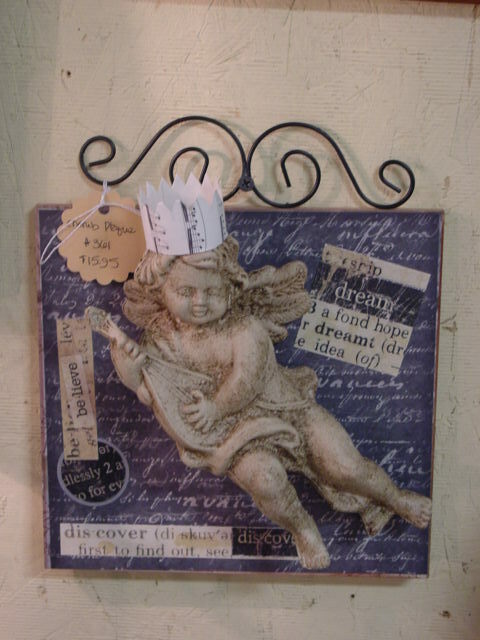 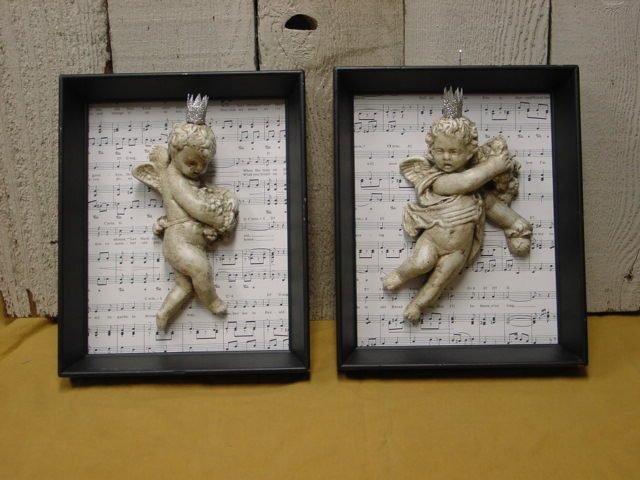 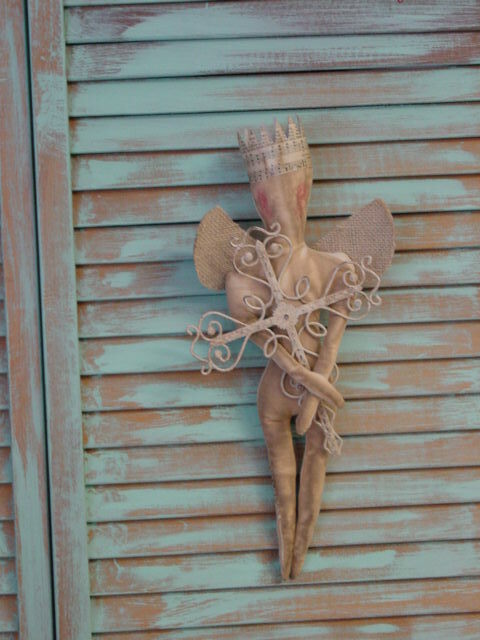 TINY altered cherub wall plaques. 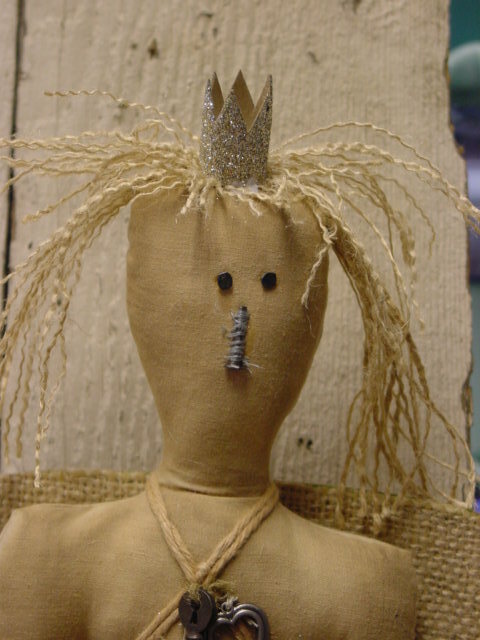 Primitive folk art grubby angle dolls. 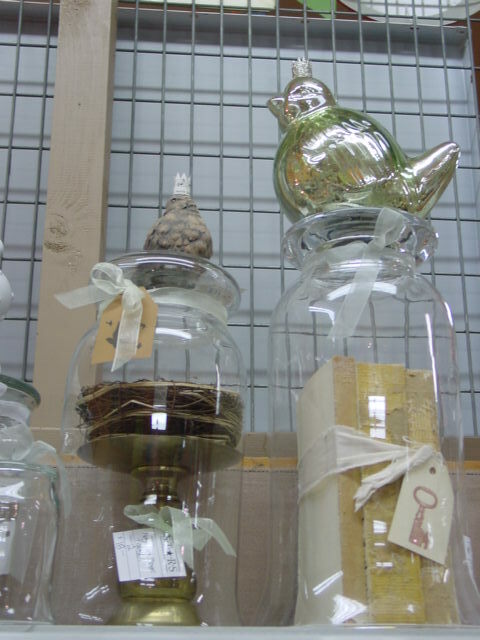 On little birds under glass cloches. 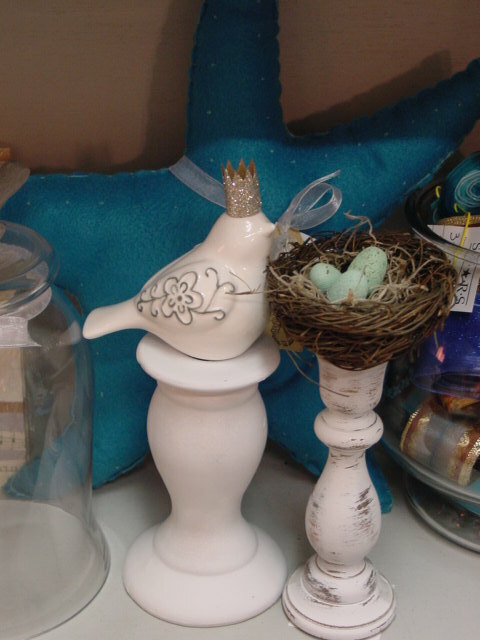 On blue birds of happiness. 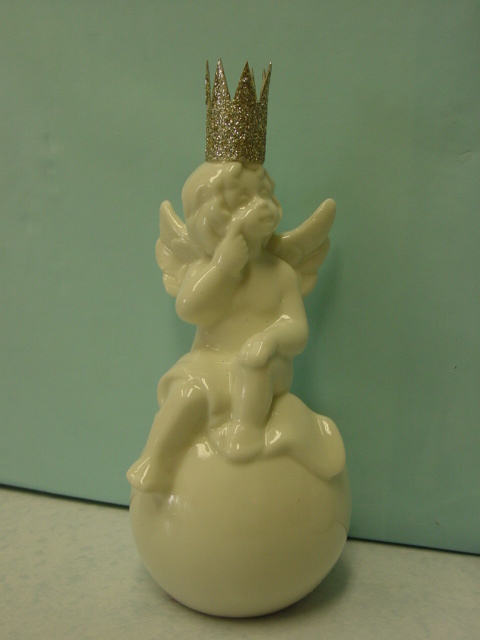 On cherubs that are on altered heart shaped candy boxes. 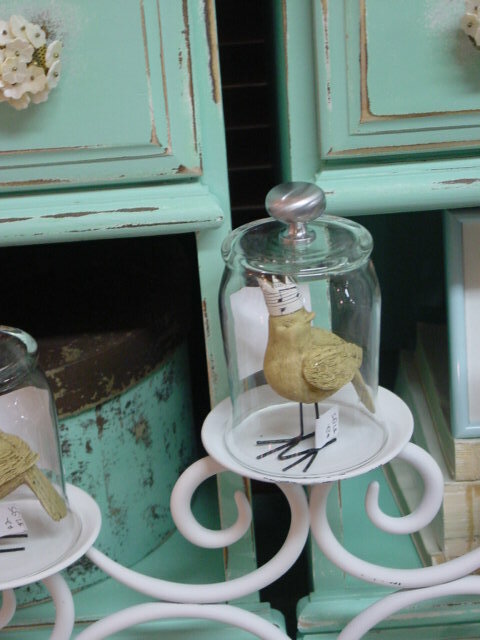 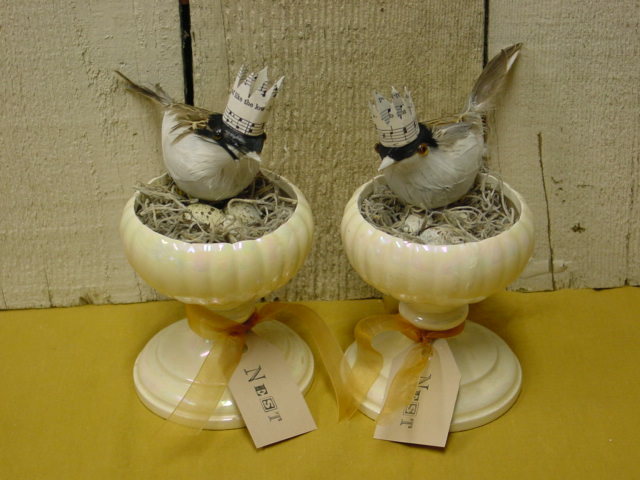 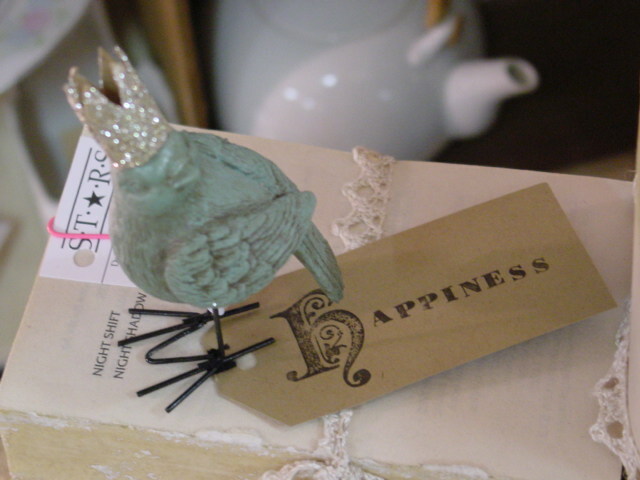 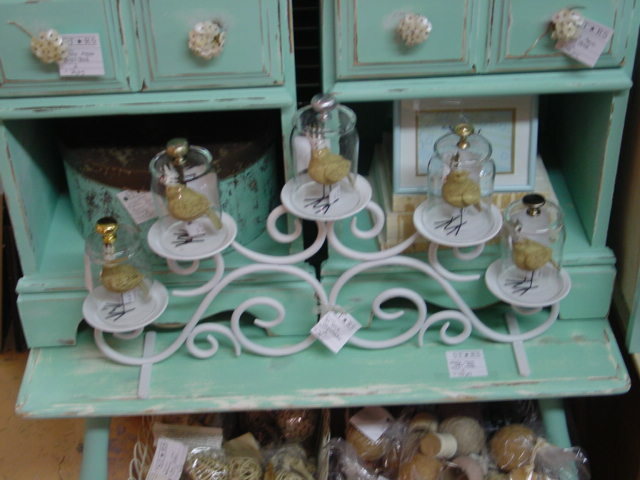 On little birds mounted atop pretty gift boxes and little show owls. 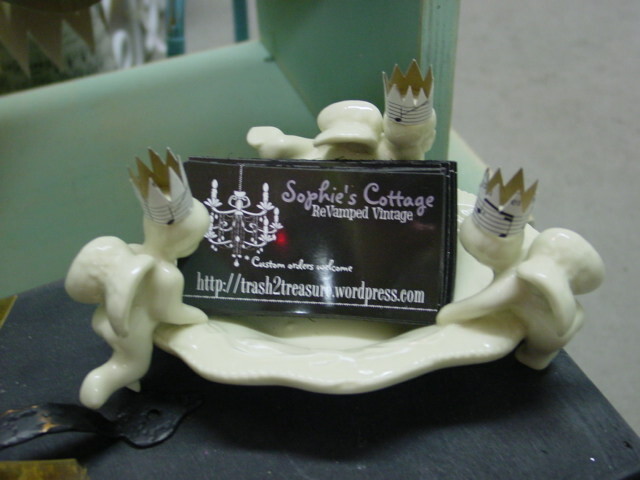 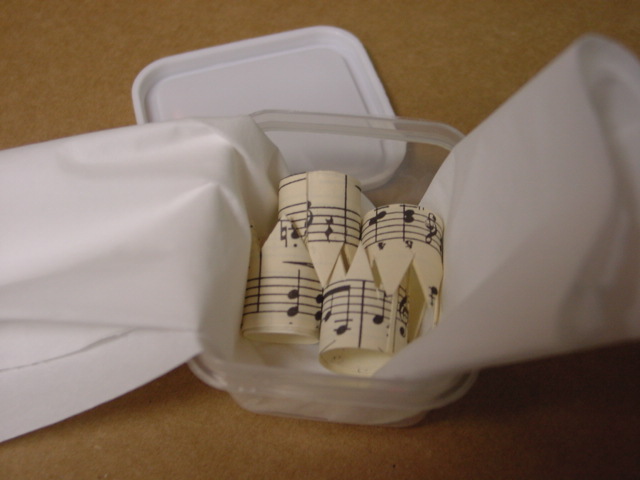 And last but not LEAST, this cute little vintage soap dish that I use to hold my business cards! 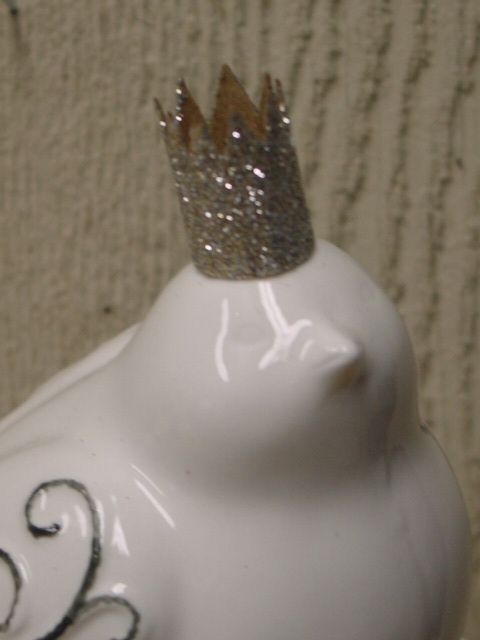 Am I in need of a ‘crown intervention’??? 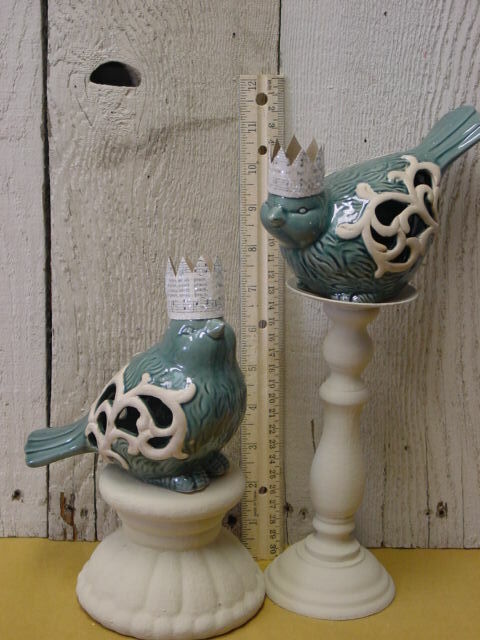 Love it all the birds and crowns are way unique Thank you for posting.